If you want to take higher quality photos and video on your iPhone, continue reading to discover a few clever tech gadgets which you may want to consider purchasing! If you love taking videos on your iPhone but find that your iPhone’s built-in microphone doesn’t record high-quality sound, it’s well worth purchasing the iPhone shotgun wireless microphone for your iPhone. As when you play back the new videos which you record with an iPhone shotgun you’ll immediately notice the difference in sound quality. So if you hate watching travel vlogs where you can’t hear what you’re saying clearly or if you enjoy shooting your own mini movies and require a certain level of sound quality, you’ll love being able to work with an iPhone shotgun. Your only issue is that you’ll wish that you had purchased your first iPhone shotgun years ago. You may be wondering what an iPhone camera enhancer is. Simply put an iPhone camera enhancer turns your standard iPhone which takes average quality photos into a high-quality camera which functions more like a top of the line, digital SLR camera. Once you place your new camera enhancer onto your standard iPhone you’ll be able to take wide angled shots and close up shots within a few seconds. As an added bonus, most camera enhancer’s feature a shutter release button, which you’ll notice on the top of your camera enhancer, which will allow you to shoot photos or video, without having to touch your iPhone’s screen. Which should transform the way that you shoot videos and photos on your iPhone forever. An iPhone remote is useful if you want to be able to pose for photos without taking a selfie. Simply get into position for your photo and click your iPhone remote discreetly in your hand, in order to take the perfect photo at the opportune time. So if you are sick to death of selfies and would rather take proper photos with your friends and family members it’s definitely well worth purchasing an inexpensive iPhone remote. 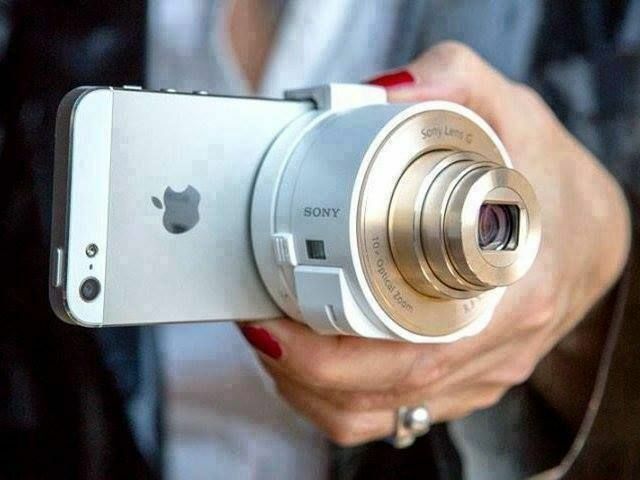 In order to make taking photos on your iPhone a breeze. So if you’re passionate about taking high-quality photos and video and photos on your iPhone it’s well worth trying to pick up all three of the photography related iPhone gadgets listed above.